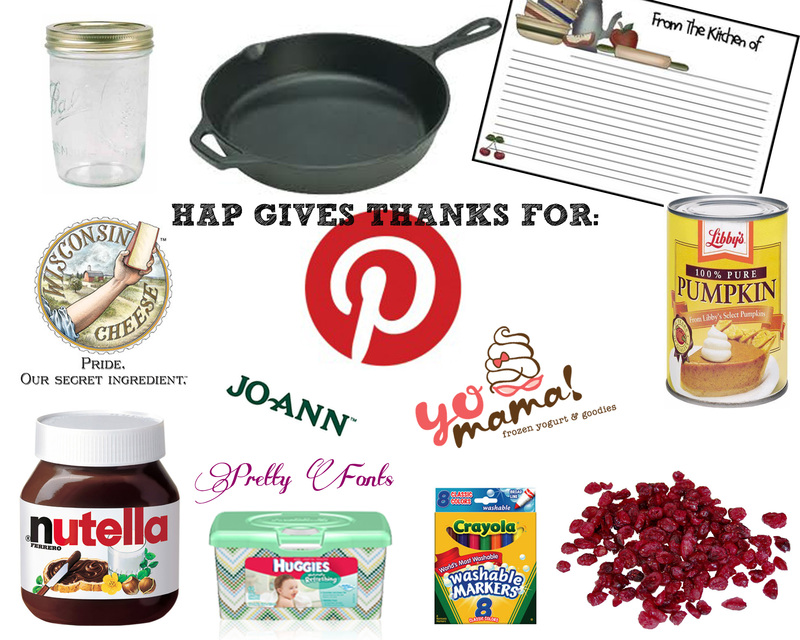 Happy Thanksgiving to all of our lovely HAP readers! We have been so blessed this year and can never express the gratitude we have for our wonderful families and friends. We are humbly grateful for all of you who keep us chugging on and doing what we love. Haute Apple Pie would not be here if it was not for you! While the aforementioned are most important, we are also grateful for the little things in life that keep us smiling on a daily basis. 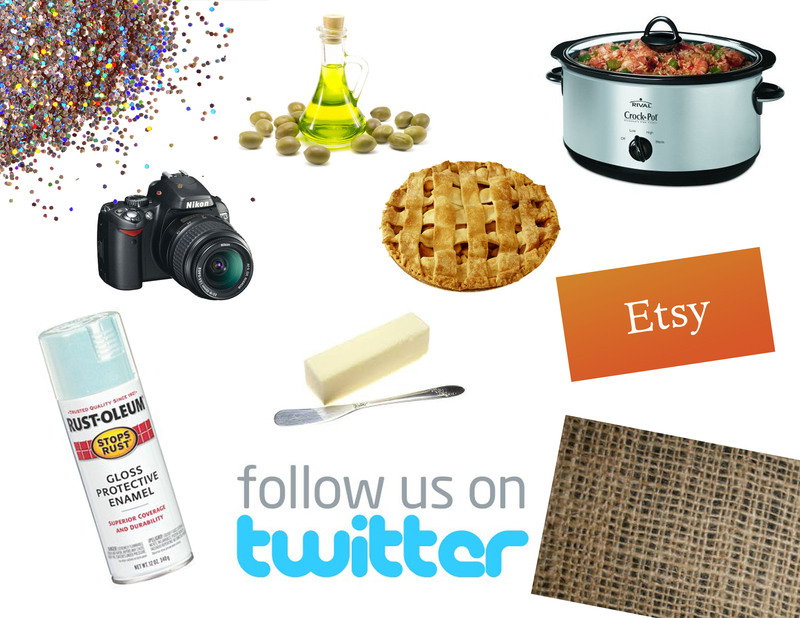 In no particular order: pumpkin, Pinterest, Nutella, frozen meals, mason jars, JoAnn Fabrics, Yo Mama, baby wipes, dried cranberries, pretty fonts, Wisconsin cheese, washable markers, warm soup, friends who share recipes, cast iron skillets, and homemade bread. What are the little things that have warmed your hearts this year? Warmest Thanksgiving Wishes to all! Don’t forget to enter to win a FREE REAL Christmas Tree! Giveaway ends at 5 pm CST tomorrow! spray paint. burlap. Twitter. slow cookers. Le Reve croissants. patient husbands. olive oil. farmer’s markets. butter. Google docs. flea markets. goat cheese. driftwood. immersion blenders. glitter. aprons. homemade pie crust. Etsy. Digital SLR cameras. and last but definitely not least….YOU! We are so grateful to our readers for following us, challenging us, encouraging us and allowing us to share a little piece of our hearts, minds and lives with you.